The essay below is an expanded version of an article first published at the Manhattan Institute's City Journal. In 2018, the first two Muslim women elected to Congress – Ilhan Omar and Rashida Tlaib – did so with the help of both Islamist and progressivist bases. For years, critics have thought the collaboration between Islamist groups and sections of the Left to be a cautious, temporary ideological alliance. In fact, a growing section of American Islamism has sincerely embraced progressivist politics, despite its clear contradictions with theocratic ideals. Writing recently in the New York Times, Cato Institute fellow Mustafa Akyol arguesthat America's "Muslim community," far from campaigning for theocracy (as claimed by "Islamophobes"), is in fact being swarmed by a powerful, welcome "creeping liberalism." On the face of it, it seems he has a point. 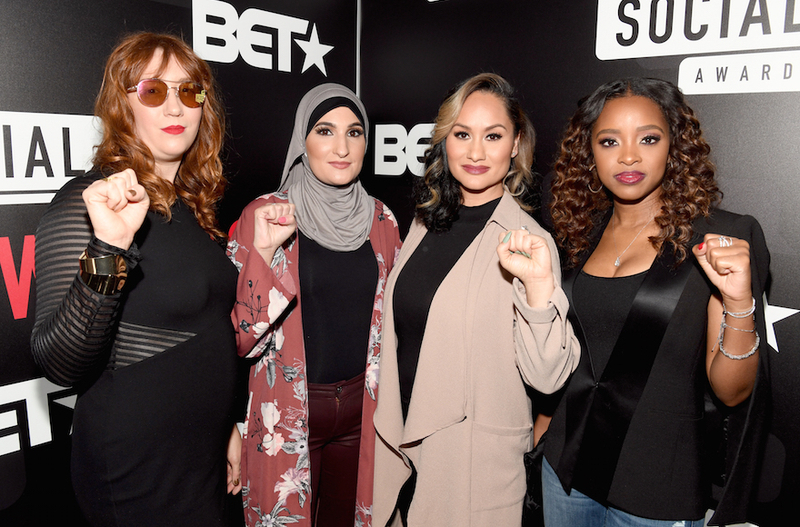 Prominent Muslim voices lead Women's Marches in cities across America and argue for "intersectional feminism." Groups such as the Council on American-Islamic Relations (CAIR) – just 10 years ago named by federal prosecutors as part of an enormous terror finance network – now spend a great deal of time publishing social media items about Black Lives Matter while also campaigning for "social justice," prison reform and higher minimum wages. Leading Muslim clerics are to be found praising Malcolm X as "our prince," and protesting Trump's immigration plans at the southern border. And a few Muslim campaigners even express solidarity with transgender and "queer" activists, and publicly dream, as the prominent Islamist-linked activist Linda Sarsour puts it, of "a world free of anti-black racism, islamophobia, xenophobia, antisemitism, homophobia, transphobia, ableism, ageism, sexism, and misogyny." This is not, however, a broad creeping liberalism; it is, more specifically, a creeping progressivist narrative – and it is changing the face of American Islamism. But is this genuine progressivism? Or is this just part of the perennial debate among Islamists living in the West: in the effort to advance a theocratic agenda using lawful means, to what extent should Islamists dilute their message to fit Western political narratives? Standing against the march of progress, Aykol observes, is a minority group of "conservative" Muslim clerics. He quotes a few from extreme Salafi circles, but there is in fact a much broader array of contending ideas among America's Sunni Muslims – and its Islamists – on the question of whether progressivist politics poses a threat or affords an opportunity. Many of those who oppose the progressive trend are not bearded Wahhabis in Arab dress. Ismail Royer, for instance, is a former jihadist who claims to have moderated and now works for the multi-faith Religious Freedom Institute in D.C. Although he claims to regard Islam as a "vehicle for social justice," he firmly rejects progressivism, and urges an Islamic alliance with conservative Christian movements – even writing pieces in Christian publications in support of the evangelical opposition to gay marriage. Islamists will, however, find a limited supply of sympathy from American evangelicals. Sections of the Left, meanwhile, have a long history of welcoming Islamist activists into their tent. But it is the very eagerness of the Left to co-opt American Islam that concerns certain leading Islamists. Traditional, purist Salafi and Wahhabi clerics condemn those modernist Salafistrying to "westernise Islam" by appealing to progressivist impressions of Islam. The modernist Salafis use progressive rhetoric about Islamophobia and the Black Lives Matter movement, but also warn about the dangers of support for feminism and homosexuality within Muslim Students Associations, which are supported and funded by organizations tied to the Muslim Brotherhood. Meanwhile, the Muslim Student Associations (when taking a break from those intersectional solidarity marches) debate fractiously whether to "de-platform" either the "regressive" Salafi clerics, or those extra-progressive Muslims who seem just a little too committed to working with Jewish groups or advocating for gay rights. But there are many, especially within modernist Salafi networks, who have observed the growth of political activist Islamist movements in America, such as the Muslim Brotherhood or Jamaat-e-Islami, and partly ascribe their success to the adoption of modish political trends. Much of the progressivist rhetoric that emanates from these modernist Salafis, however, is manifestly deceitful. In their private sermons before Muslim audiences, modernist Salafi clerics rally against the evils of apostate ideologies. Yasir Qadhi, a leading cleric of the AlMaghrib Institute, for instance, denounces the theology of Louis Farrakhan's Nation of Islam (NOI) as heretical and "perverted." In public, however, Qadhi's clerical colleagues eulogize Malcom X – a progressivist darling -- and praise NOI leader Louis Farrakhan as a great radical hero. This may be ideologically incoherent, but it is tactically shrewd. Other duplicity is more plainly apparent. The Texas-based imam Omar Suleiman, for instance, has been an active voice in the protests against the Trump administration's immigration. In March 2018, he was arrested at the Capitol after "civil disobedience" to demand "protection for young immigrant Dreamers." And yet before an Muslim audience, Suleiman has warned young girls, without condemnation, that if they are "promiscuous" they may be killed by a family member. Or look at Islamist media: Al Jazeera's social media channel AJ+ broadcasts documentaries on transgender rights and the wickedness of misogyny, homophobia and other bigotries; while its Arabic parent station broadcasts sermons by Muslim Brotherhood clerics advocating the killing of gays, and offeringhusbands permission to beat their wives. Some Islamists have sought to explain American Islamist institutions' partial-embrace of progressivism as a response to "Islamophobia." Shariq Siddiqui, an official of the Islamic Society of North America (ISNA), has written that "Islamophobia makes it difficult for ISNA and Muslim Americans to determine which positions are centered on their religious values and which positions are based on political necessity. ... For example, in 2003, ISNA was opposed to gay marriages, but now ISNA is part of a coalition working in favor of gay marriage." Nevertheless, an increasing number of clerics and Muslim thinkers have begun to regret their forays into progressivist politics. Leading modernist Salafi clerics such as Yasir Qadhi now appear deeply shocked that Muslim students have moved from carefully taking advantage of progressivist trends to openly supporting "LGBTQ" campaigns on campuses. And indeed, at one end of the spectrum, there is a rising group of activists from Islamist circles who seem to believe in this fused progressivist-Islamist creed. Across America, branches of the Council on American-Islamic Relations are today staffed with young hijab-wearing graduates of Muslim Students Associations, who appear to have reconciled working for terror-linked extremists while also publishing transgender rights petitions on their social media accounts. Notorious Islamist activist Linda Sarsour appears an earnest advocate of Islamist-progressivism, calling for (an ostensibly non-violent) "jihad" against Donald Trump, and quipping: "You'll know when you're living under Sharia Law if suddenly all your loans & credit cards become interest free. Sound nice, doesn't it?" 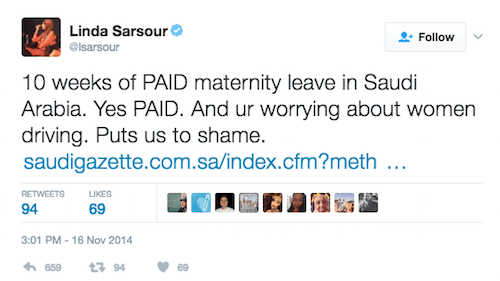 In 2014, praising the fact that Saudi Arabia reportedly provides women with ten weeks of paid maternity leave, Sarsour denounced opponents of Saudi's ban on female drivers (which has since been lifted) and claimed that Saudi put the U.S to shame. Sarsour is a harbinger of a broader trend. Whether American Islamist movements intended to embrace progressivism authentically or not, many Islamist groups are now so firmly entrenched in the progressive movement that a generation of young American Muslims is growing up convinced that the progressivist social justice and sexual identity narratives are intrinsic components of the Islamist agenda. No wonder some traditional Islamists speak out so forcefully against "liberal ideology," or caution against too tight an embrace of progressivist allies – their own radicalism is being supplanted. American Islamists are conflicted. Some reject the embrace of left-wing politics entirely. Others clearly exploit progressivist organizations to advance their cause. And then there are some, a new generation of intersectional Islamists, who seem to have found a genuine way to advocate for, or warily justify, "queer"-friendly politics. It looks like the progressivist rhetoric of Islamist activists such as Sarsour, or politicians such as Ilhan Omar, is sincere – even if it seems patently confused and inconsistent to any rational observer. This poses a new sort of threat. These intersectional Islamists – these theo-progressives – are part of a broader radical undertaking that has a much greater chance of imposing extremist ideas on American society than the Muslim Brotherhood or Wahhabis ever did.